The first interaction ( 7:00 am to 10:00 am) couldn't see whale shark. Second interaction ( 10:00am to 1:00 pm)could see whale shark. 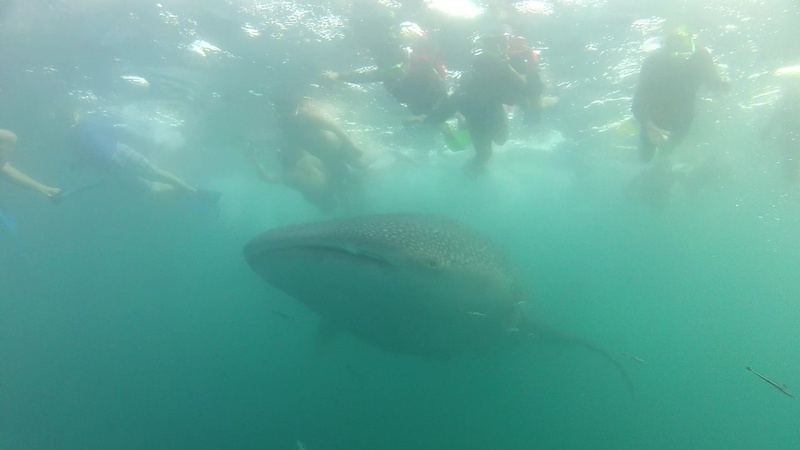 And they saw 6 to 7 meter of whale shark, and swam( jumped) together 5 times.